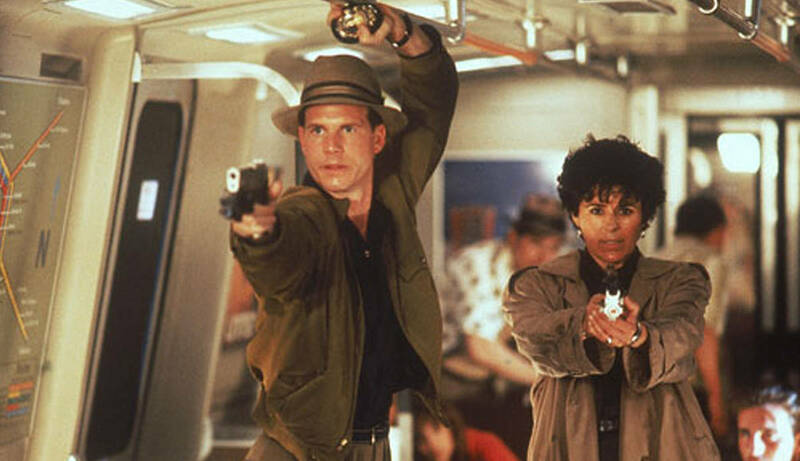 A Predator comes to earth to hunt prey in Los Angeles in 1997 and faces off with a hard-nosed LAPD officer. 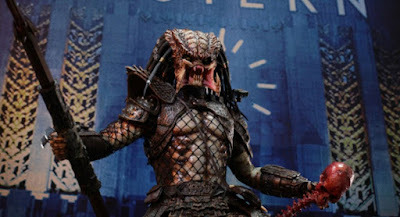 Out of the regular jungle and into the urban jungle of Los Angeles, "Predator 2" is directed by Stephen Hopkins, who has directed films such as "Judgement Night," "Blown Away," and "The Ghost and the Darkness." It is written by Jim and John Thomas. Besides writing the original "Predator," they have worked on films like "Wild Wild West" and "Executive Decision." 1997 Los Angeles is a cesspool of crime and is being plagued by a gang war during one of the hottest summers on record. With the heat comes a Predator, who has taken to sport hunting the criminals and cops of the city, creating what police believe is a string of ritualistic killings. Lieutenant Mike Harrigan (Danny Glover) starts to look into this series of bizarre murders and soon discovers that they are being committed by this killer alien. He and the rest of his team become the hunter's next target. Despite receiving mediocre reviews upon its initial release, the original "Predator" made a decent amount of money and has gone on to become an 80's classic. As with any movie that makes money, it means the masses will receive an inevitable inferior sequel. 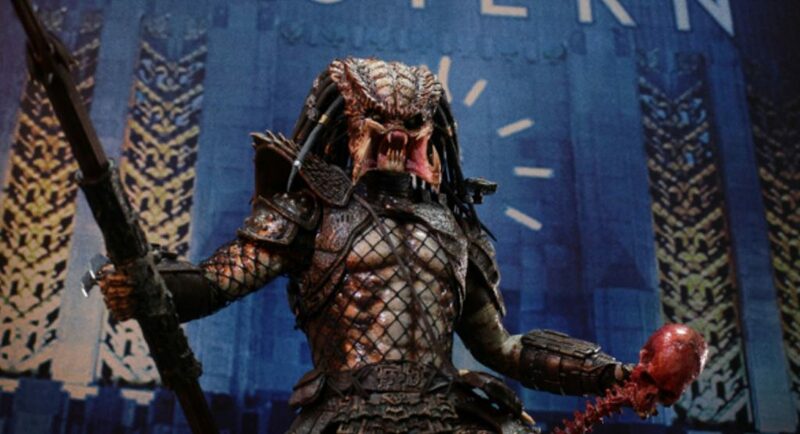 "Predator 2" wants to bring the concept from the original into a more urban environment where prey is abundant. Even though this film was released in 1990, it takes place in 1997 because reasons! 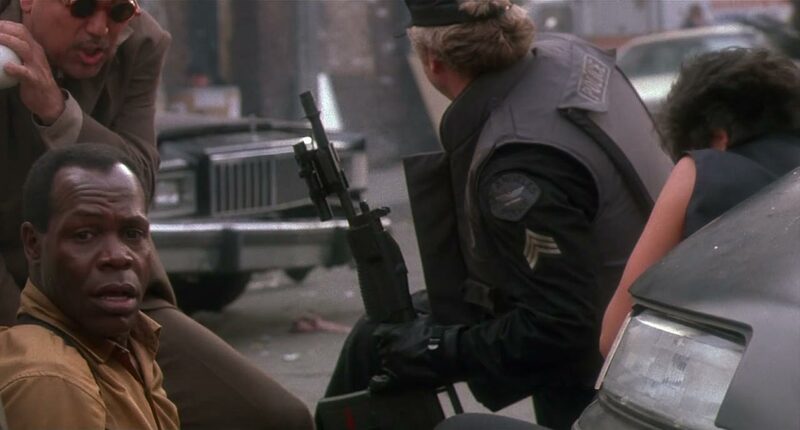 Crime rates were reaching their peak in 1990, and many at the time assumed that trend would continue upward, leading to the crazy over-the-top violent depiction of 97' Los Angeles we get in this "Predator 2." It turns out, the opposite happened and crime trends plummeted, leaving this version of the City of Angels to exist only in an alternate, fictional timeline. But hey, hindsight is 20-20, right? Moving this alien antagonist to a city setting has its advantages and its disadvantages. It is densely populated, and everyone seems to be packing heat in this universe, which means an opportunity for maximum warzone types of carnage. That being said, this sequel also seems to lose much of the tension its predecessor had. These characters aren't isolated and don't have a limited amount of resources at their disposal because stuff is plentiful in the city. This strips away a lot of the intensity, which was most abundant in the original. That being said, "Predator 2" still has its fair share of entertaining action sequences. It does enough to be fun, even though it feels a lot more cheesy and throw-away this time around. Remember, gigantic-flexing-muscles-shimmering-with-sweat is basically a main character in the original, and nary a bicep is seen here. This is set in the thick of summer in L.A., and we're supposed to believe no one has their brawn puffed-up on a street corner somewhere? Puh-lease! "Predator 2" is not the worst entry in the P.E.U. (Predator Expanded Universe), but it's certainly not the best. In fact, none of the films in this series come anywhere close to catching the greatness that was the original. This installment lacks the fear, intensity, and cohesion as its predecessor, and doubles down on cop drama and silliness, which no one really asked for or needed. Stick with the original.